Jacked Dosing Pump is available for our customers in different specifications, including simplex, duplex and multiplex heads. Hence, it is widely appreciated in numerous industries for completing the purpose of transferring of fluids. Check valves and gland chamber are fitted with this pump, thus the valves can be removed at the time of servicing without dismantling the suction and discharge connections. It has been precisely designed, so that accurate dosing and mixing of alcoholics, slurries, acids, viscose liquids and other liquids can be done without any trouble. Relying on its supreme qualities and performance, this dosing pump is used in the pharmaceutical industry, thermal power project, chemical plant, fertilizer plant, water treatment plant, soap plant, paper industry and plastic industry. 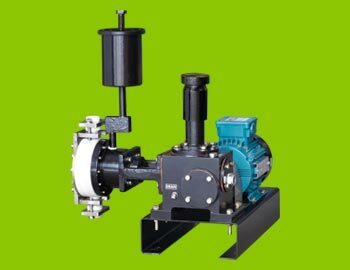 Exceedingly adaptable design of High Pressure Dosing Pump makes this one to perform various tasks in different industries including pharmaceutical, food and chemical. 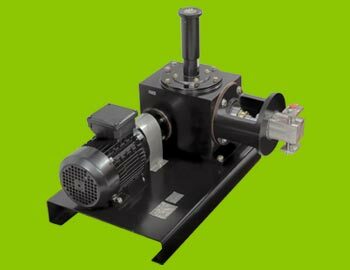 Moreover, this pump is known for feeding liquids under high pressure and is available in customized form to meet the requirements of our customers. 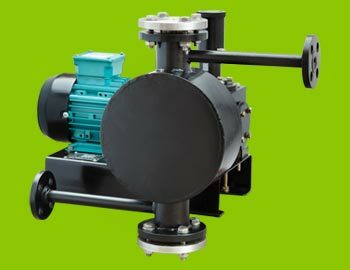 The pump is capable of dosing high pressure liquid to various levels, maintaining flow and accuracy.